"Stools are perfect in front of fireplaces, offering additional seating or a place for books and magazines." Stylish and versatile, this stool harmoniously gets to work as a little table or footrest and could be pulled up for a friend at a cozy drinks party. 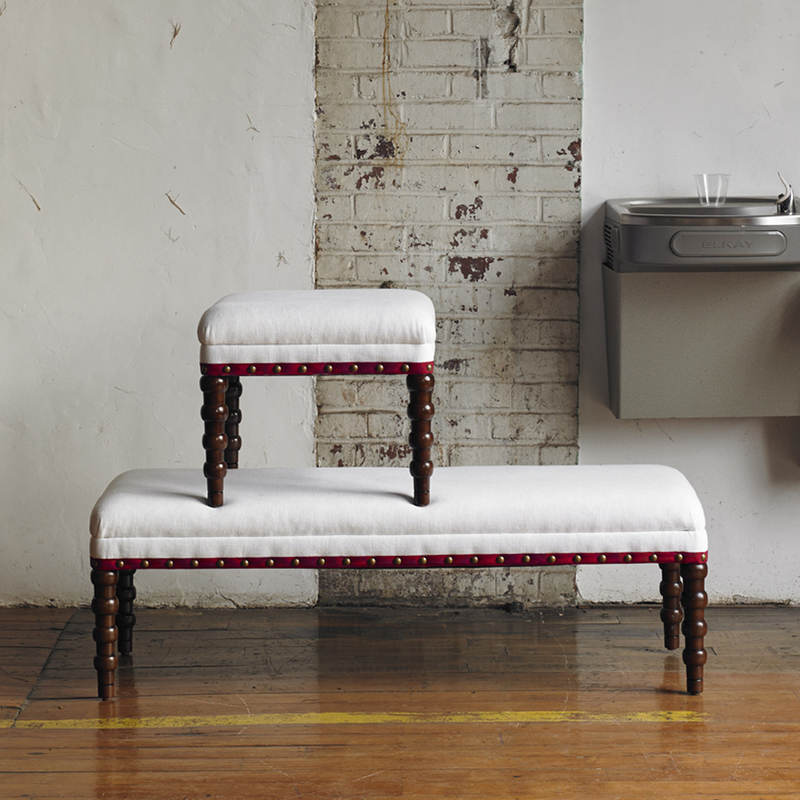 The handcrafted maple base showcases the graduated cuffed legs and the striking ruby red ribbon - a detail that really makes this hard working piece stand out. Minimum 1 yards COM or 15 Sq. Ft. required.